Just like last year, we’ll be hosting watch parties for the Cleveland Cavaliers throughout the playoffs for many (but not all) of the games. Be sure to Like our Facebook Page to know which games are officially being hosted by the Union Square Browns Backers at our home-base of Brother’s Jimmy BBQ. For all games we host, please be sure to CALL to make a reservation. 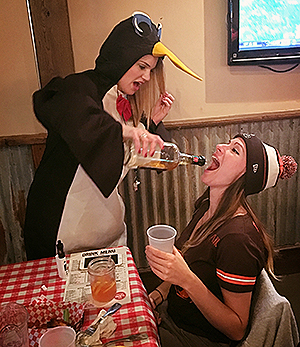 Tell them you’re with the “Cleveland Backers”: (212) 673-6465 – Otherwise it’s first come, first served. All our normal Cleveland specials will be available during CAVS games: half price wings, $3 Coors Light drafts and $12 Coors Light pitchers. Come join your fellow CLE fans as we tip off the post-season excitement!